Heather Fisher is an ever bigger icon in the world of women’s rugby. She is a truly inspirational figure who can motive any audience, young or old, boy or girl. Heather is also an accomplished Olympian and hugely decorated World Cup winner in the field of rugby, and is also a great mentor and fine guest speaker who has a fascinating series of tales to tell. Fisher plays England Rugby 7s and has done so since she started playing aged just 16. 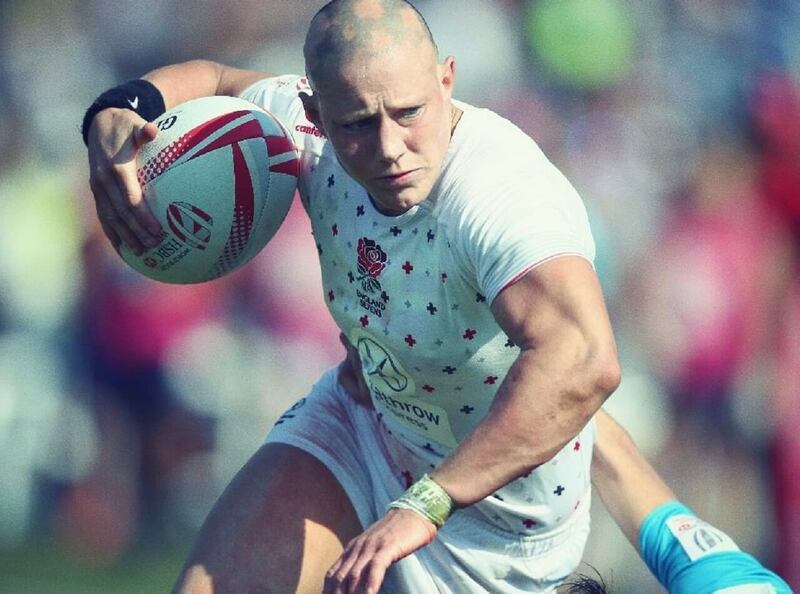 In 2006 she signed up for the women’s Bobsleigh team for the Winter Olympics but three years alter followed her dream of playing international sport by returning to the rugby field. Turning out for the 7s side in the 2009 World Cup and then again in the 2010 World Cup for the full 15 a side version of the game, Heather reached the highs of the sport in 2014 when picking up a gold medal in the women’s World Cup. Into 2016 and she has continued to succeed by representing her country at the 2016 Games in Rio in Brazil. Her key performances on the pitch helped Team GB win a fine Bronze medal in the final stages. It was a historic win and Heather is just as successful off the pitch. She has a strong philosophy and great set of values and is a fine speaker who can help install similar lessons in her audiences. As well as individual speaking engagements, Heather talks with others to young athletes and travels far and wide to deliver her motivational talks. She is also busy with her training consultancy business and in her role as athlete mentor for the Sky Sports Living For Sports programme.